Power Star Pawan Kalyan's Sardaar Gabbar Singh shooting schedules are under progress, and the makers are planning to launch the audio in mid-March and the film on April 8. Sardaar Gabbar Singh satellite rights are in high demand, and Gemini TV is in talks to grab the offer for a whopping undisclosed amount, considered to be the second highest after Baahubali. Sardaar Gabbar Singh directed by KS Ravindra features Kajal Agarwal as heroine and Bramhanandam, Ali, Tanikella Bharani, Posani Murali, Mukesh Rishi, Kabir Singh, Krishna Bhagwan, Bramhaji, Narra Srinivas, Urvasi, Lakhsmi Raai, Shakalaka Shankar, Sudigali Sudheer, Venu and Raghu Babu in supporting roles. 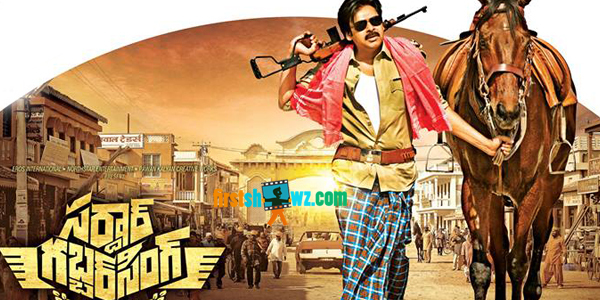 Produced by Sharrath Marar and Sunil Lulla under the banner’s of Pawan Kalyan Creative Works, Northstar Entertainment Pvt Ltd and Eros International, Sardaar Gabbar Singh is so far shot in Hyderabad, Baroda, Rajkot, Kerala and Malshej Ghats, Maharashtra.